Lymphedema is a condition of localized fluid retention and tissue swelling caused by a compromised lymphatic system, which normally returns interstitial fluid to the thoracic duct, then the bloodstream. Though incurable and progressive, a number of treatments can ameliorate symptoms. 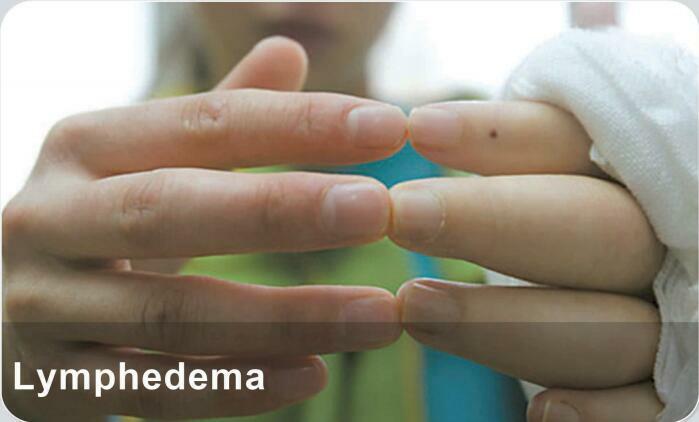 Tissues with lymphedema are at high risk of infection.